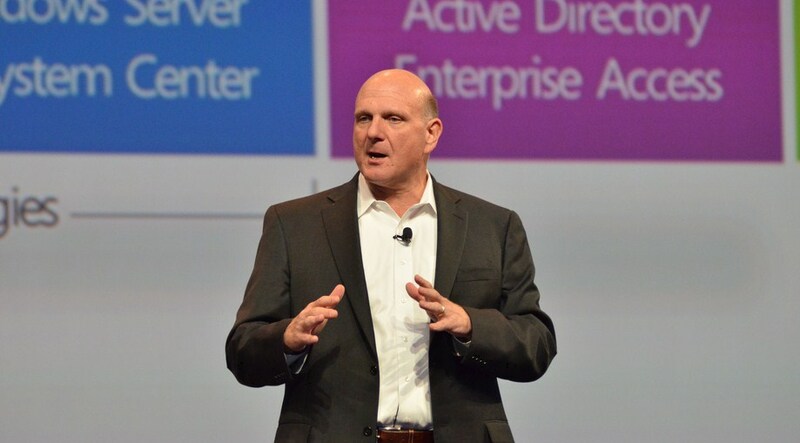 Microsoft: Ballmer did not say we’ll sell 500 million Windows 8 devices in 2013. Really. We promise. Did you catch that story the other day, that Microsoft CEO Steve Ballmer stated that Microsoft was going to have a Windows 8 install base of 500 million, or so, by the end of 2013? That Microsoft was going to sell so many new machines and software licences was big news. After all, at those sales levels, Windows 8 would be a world smashing success. The numbers Steve Ballmer gave at the Seoul event are a restatement of what we said at the Windows 8 Store event in December, when we were talking about existing Windows users and analyst projections of PC sales for 2012 that could be upgraded to Windows 8 when the time comes. We’ve just passed the 500 million licenses sold mark for Windows 7, which represents half a billion PCs that could be upgraded to Windows 8 on the day it ships. That represents the single biggest platform opportunity available to developers. Steve Ballmer, Microsoft’s CEO, predicted on Tuesday that 500 million users will have Windows 8 devices by the end of next year, according to a press account. So, that was the narrative. Of course, everyone was wondering out loud how Windows 8 was going to beat the pants (in terms of sales velocity) off the very popular Windows 7. But the quote was, frankly, not that mis-juiced. Thus, a false media wave was generated. What went wrong? Well, an American businessman speaking at a Korean event, as reported by a French press group, in English, was perhaps a recipe for confusion.